280 billion. That’s the estimated number of emails sent and received in 2018. Daily. Whichever way you look at it, that’s a lot of email. By 2022, conservative estimates suggest that number will rise by another 50 billion, so if you ever needed proof that we just can’t get enough of email, then take another look at those numbers. The ubiquity of email is easy to understand—it’s a simple and effective method of communicating everything from genius business ideas to essential weekend plans. However, it also comes with its fair share of risks, and as increasing amounts of sensitive data are sent from computer to computer, email security has become more important than ever. Well, what’s NOT in an email these days? As the world turns fully digital, email has become the foundation of our daily communications. From hospital appointments to job applications; our emails include bank details, medical records, sales contracts, tax information, legal documents, and everything in between. 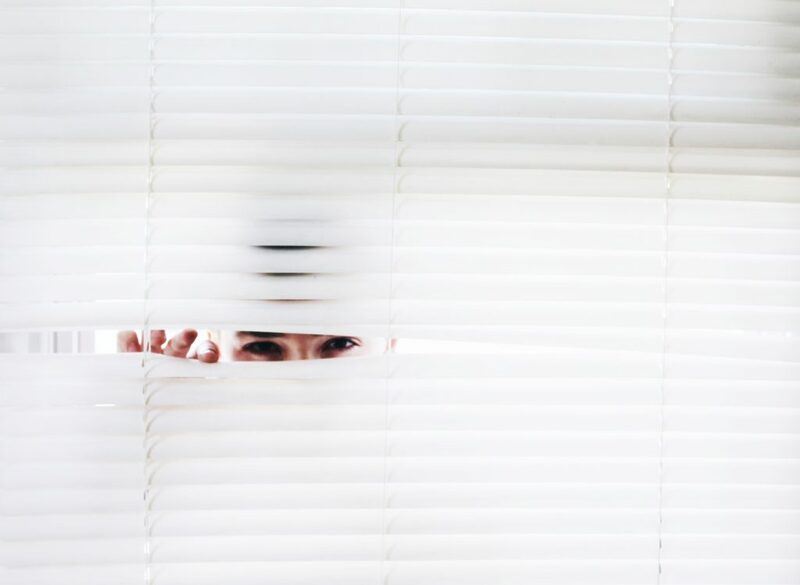 It seems we love sharing information—unfortunately, however, there’s plenty of unscrupulous individuals and companies out there who’d love to get their hands on it as well. Think about it. On a personal level, the amount of information we’re happy to share through email not only leaves us open to the inconveniences of spamming, phishing, and computer viruses, but also to full-scale identity theft. Even worse, as Big Data begins to make big waves, the world’s hunger for raw information is set to explode. Without the proper email security checks and technologies, sleepwalking into a nightmarish Orwellian future of corporate surveillance and consumer manipulation is a very real possibility. As far as businesses and organizations are concerned, if the right information gets into the wrong hands there can be devastating consequences. High-profile data breaches are becoming increasingly common, and hackers are constantly trying to access sensitive company information that can directly affect any entity’s bottom line. Poor email security systems cost money, but also clients, customers, and careers. Whether sending email across networks or filing it in your archives, the large amounts of data that we send, receive, and store means email security should be a fundamental part of our daily routine. To make matters worse, cybercriminals are more sophisticated than ever before, and as data harvesting becomes increasingly lucrative, everyone needs to be more vigilant when it comes to protecting themselves. For companies, drawing up email security best practices for employees is a good place to start. This ensures staff are up-to-date with simple email security procedures and aware of the latest threats. However, the right technology is a huge advantage in the fight against data theft, and email encryption tools should be part of everyone’s arsenal. Today, email encryption services are easy to use, and you can be sure your data is safe even if the recipient uses a different piece of software. 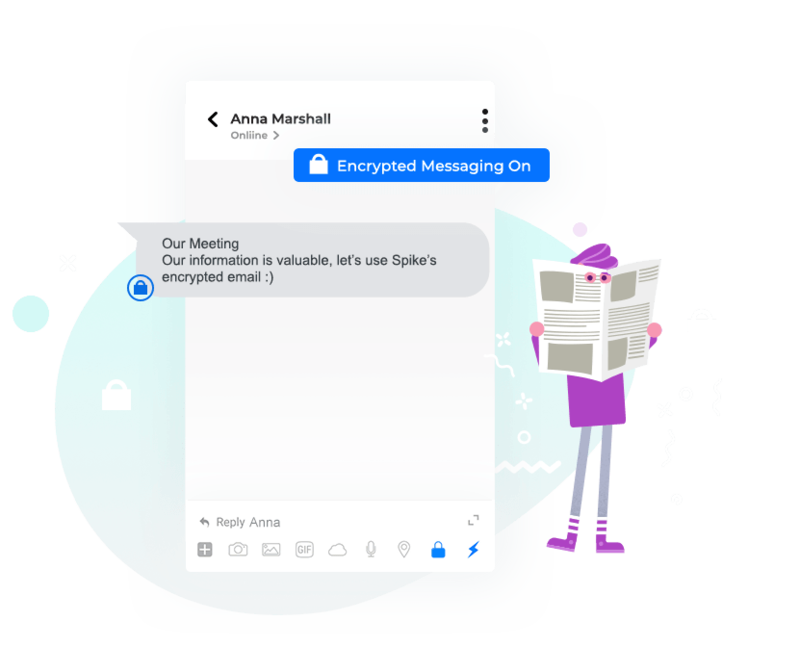 With a single click, Spike EEM (encrypted email messaging) lets you share information freely without worrying about cybercriminals and hackers. The AES256 protocol keeps your email secure and your data safe, with encrypted messages instantly visible to all Spike users and just a click away for non-Spike users. Additionally, you have the option of turning email encryption on or off in just a single click, bringing convenience and speed to your daily communications. However, our commitment to security doesn’t stop there, and Spike’s encryption technologies also cover your video and voice calls for the ultimate in online protection. In the information age, your private data is a statistical representation of what makes you unique. Ensuring the integrity of that data is crucial, and email encryption is among the safest ways to secure your communications across any network. Thankfully, Spike’s Super Stealth Encryption is on-hand to help both businesses and individuals stay safe online with the latest technologies and tools. Discover how Spike brings you the protection you need in a data-hungry world and rest assured your digital information is in safe hands.